160 Lukie Points will be rewarded to you when you buy this. Original Nintendo 64 console in GREAT condition! This system has been refurbished and thoroughly tested! Came just as described, in great condition! Quick shipping as well, definitely will be using Lukie games in the future! Sense I've received it I haven't stopped playing! My wife and family we just love the N64 and always will! Highly recommend thanks LUKIE GAMES! Got this system about a month ago and it has worked great. Absolutely love it! Excellent system! Very few if any scratches. Packed very well with fast shipping. One controller did come cracked but was easily able to get a return code for a replacement .Will buy from Lukie games again. Came with everything except the grey controllers, i got purple ones instead which is even better! The system works well, i have no complaints! Purchased this to sate my Pokemon demands and was not disappointed! I never had a 64 so of course it was my first time getting one. First off it arrived well ahead of schedule and everything was in amazing condition. 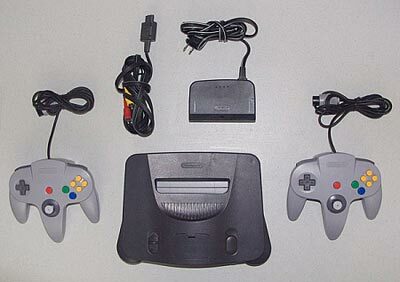 Controllers work perfectly and are the original N64 controllers and the system looked brand new! If you're looking for a great used N64 this is the place to buy it. I will be buying much more from Lukie Games. Especially Pokemon titles. Order arrived when expected. One of the plastic feet fell off immediately once I took the console out of the box. No big deal, I guess. I glued it back on. The AV cable is not original and takes some wiggling to get the signal to pass through to the TV. The analog sticks on both controllers are very stiff. This leads me to believe they were replaced with non-original hardware from another manufacturer. They are almost useless when using the sniper rifle in GOLDENEYE. I'm satisfied, though not greatly. 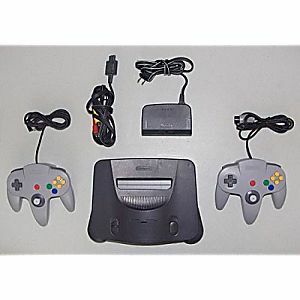 Ordered the N64 Console w/ the expansion pack as a gift for our sons birthday, he loves it! The system works great and is very clean, shipping was very quick. I would recommend to order from Lukie to anyone considering!! I bought this system about 2 months ago has always worked great couldn't ask for anything better!!! Order received quickly, in great condition with everything I needed. Great customer service, too. Got this system for my boyfriend for Christmas - what a success! Had to get an adapter to get it to work for the Samsung Smart TV, but since then, it's been seamless. He loves it and we are having a great time playing. Thank you!